The home pages remain free of any charge. Journal ed. note: We have heard stories like this about John Jacobin (1912-1973) since our childhood in Sedro-Woolley. The story has never been told so well and poignantly, however, as this expanded version by his nephew who knew him very well. Even though John performed in freak shows, that term seems hollow for anyone who met him in the flesh. When I was a boy growing up here, my father worked with crews of Northern State Hospital patients all over the grounds and I learned very early that I was not to make fun of anyone who looked or acted unusual. I remember seeing Johnny on the sidewalks of Sedro-Woolley at least a couple of times and I marveled at his ability to propel himself down a sidewalk with dexterity that made my pals and I look like amateurs on our scooters. My parents respected him for his ability to repair appliances and when we saw him in between repair jobs, they reminded me to mind my manners. So I am minding them now, presenting this story in honor of an unusual but very kind-hearted and amusing man. Thanks to Joe Jacobin Jr. for sharing a very personal story. By Joe Jacobin Jr., ©2009 "Come on, step up and see the Frog Boy!" barked my father. "See that tiny little man on the inside. He eats fire, plays the ukulele, threads a needle — all without hands or arms. See him jump! All on the inside. Get your tickets now!" John had no hands, only shortened arm stubs that ended at the elbows. His legs were permanently bent in such a fashion that you might assume sitting cross-legged or attempting the Lotus position in Yoga. However, John's Lotus was permanent. Both legs were bent at the knees. Walking or sitting, John's posterior stayed close to the ground. In this position, his total height was less than 30 inches. He did have feet. On one leg he had three toes; the other he had two. Moving the bones inside the large toe readily revealed two separate bones inside which were merged together or "webbed." Thus his carnival nickname of "The Frog Boy." I am told that John, as a child, was a terror in school. While he had no hands and two feet with a total of five digits, he could use his arm and toe to send a spit wad with skin stinging speed. And the strength he had in those toes was remarkable. One of the games we played growing up was "catch a finger in Uncle John's toes." Like a Venus Fly Trap, fingers were safe by continuing to circle around his toes. Continuing to play this game, one could look at his face and not see a muscle move. But should you think you were fast enough to slide a digit between the toes, he would, with the reflexes of a Praying Mantis, catch it and then make the offender yell "uncle" or "I give up" or "Please, Uncle John" for release. I know his toe strength was enough to bring tears to my eyes more than once. How John drove a car But Uncle John was by no means mean or abusive. On the contrary. He took great care of both my sister and me with regular weekend excursions to movies, drives, and other outings. Had it not been for John, and due to the fact that our own parents had very little money for such discretions, we would have missed out on many of life's little pleasures. I was probably age six and just beginning school when I began to notice that Uncle John was different from most people. I had always taken for granted that he could do what everyone else did, but not in the way that most people did things. In order to drive a car — and he preferred stick shifts to automatics — pedal extensions were made on both the brake and clutch. Each extension was attached with hinges to the pedal and extended towards the driver by about 18 inches. This allowed him to use his knees to depress each pedal. Steering took other implements. Back in those days, it was considered "cool" to have knobs on the steering wheel. John's car also had knobs — two of them in fact — spaced about four inches apart. In this manner, John could position one of his arms between the knobs and turn the wheel. 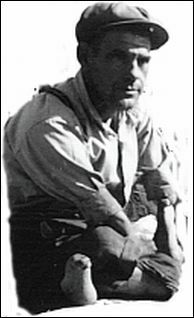 For the throttle, he used a half-inch dowel rod with a rubber foot at one end and a nail driven through the other. In this way he could position his toes between the dowel and use the nail to press on the other end for acceleration. He also had a small cabin cruiser that he sailed around the Puget Sound. While John was quite a careful driver, it was an auto accident that ultimately caused his death. This and the rest of the photos with this story below are courtesy of Anthony Self, a great-grandson of Peter Jacobin and Catherine McHale, through the branch of Dexter Cook. Uncle John was also quite talented in other aspects. Again, without hands or normal legs, he not only ran a television/radio repair shop in Sedro-Woolley, Washington, for many years, but, before the days of the transistor, he could take apart most anything electrical, repair it, and put it back together again. John was so talented at this profession that even today, some of the "old-timers" who remember him remark how he could repair this radio or that television when no one else could. I remember growing up around him learning to do the same. He was also a patient tutor: never minding the clumsiness of a ten-year-old handling a screwdriver or pliers, John would simply say, "Unscrew this piece," or "hold this wire." Although he could have done the tasks himself, I think it was wise that he wanted me to learn by doing. Even today, most any broken or non-working appliance in our household is given a thorough going over and "see if we can fix it" look-see before a replacement is purchased. John said that the advent of the transistor (well before today's microprocessors) was his demise. Before the onset of modular units and motherboards, back in the days of vacuum tubes and tube testers, John was the ultimate authority of radio/television repair. His talents were not limited to electronics, although he had far greater insight into the inner workings of things electrical than most. In the mid-1950s, Cadillac came out with a dimmer switch that worked on the photo-electric principal that an on-coming car's headlights would automatically dim its own headlights. John said he had that idea years before. Whether he did or not I don't know. I do know that he had the intelligence and foresight to make his story plausible. John also had great music talent. He could pick up just about any instrument and, providing he could either wrap his arms, toes or fashion something to pluck strings or press valves, he would be playing the instrument in no time. 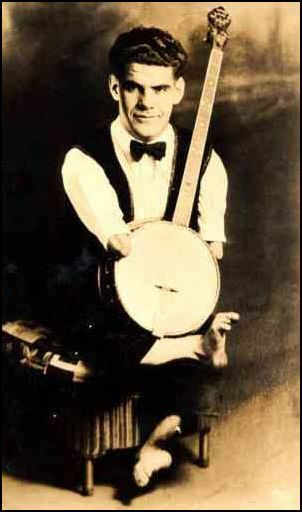 His favorites were banjo, trumpet and, of course, the ukulele. For stringed instruments, John had an unsharpened pencil with a slight groove carved at one end. He affixed this device to his left arm by means of rubber bands. Together with toes of both feet, chords that would have been difficult for Roy Acuff were easy for John. 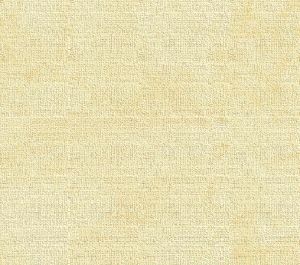 On his right arm, he had a notched stick with a triangular piece of quarter-inch felt attached to it. This allowed his arm to carry the tune to the strings. And carry the tune he could do. John could hear a bit of music and almost immediately play it back — either on a stringed banjo, ukulele or even spitting out the notes on his trumpet. While he had trouble with large scale-chords on a piano, the melody of most Big Band era songs came through loud and clear. John's radio/television repair gave way to his earlier occupation: the carnival. Billed as a "side show freak," John's performance career began early, just around the time of his teenage years. In the early 1920s and for several decades thereafter, carnival freak shows were not only popular but quite in vogue. I can remember John speaking affectionately of other performers he knew: JoJo the Dog Face Boy, John Eck the Half-man, and other deformed exhibits whose names I know longer remember. I do remember visiting a couple of Siamese twins being exhibited in Detroit, Michigan, in the late '60s. John was billed as "Major John the Frog Boy." In some regards this was true — the nature of his toes could be considered frog-like, and he could "hop" like a frog, but this wasn't his true method of locomotion. His normal style of "walking" was to put one knee in front of the other or, if greater distance was involved and he couldn't drive, then a wagon was used with one foot on the ground to provide momentum. The sideshow entertainment consisted of him portraying how he was first like a frog, and then the things he could do that seemed incredible to others without infirmities: threading a needle, playing the ukulele, shaving himself (he stated he preferred a safety razor, but the truth was he preferred an electric), oral testimony of how he drove a car, etc. Other features of the show included a large python or boa constrictor snake, usually handled by a scantily clad female who also would walk a "ladder of swords" in her bare feet; exhibiting a mummified lady (affectionately known as "grandma") and the "little dog with a human face." These last two exhibits, I learned later, were not real but purchased from manufacturers of such "oddities." In all, the entire show ran between 15 and 20 minutes which was quite a bargain for the price: about half the price of a movie ticket and about the same as most of the major rides on the midway. During one summer when I sold tickets in the front, I could listen to comments made by those leaving at the end of the show. Most visitors were quite pleased both with John's "performance" as well as the other acts. Some were repulsed by the snake handling, but I guess that's just a matter of personal phobias. I remember several times people would run screaming out the front of the sideshow tent as the snake was passed near the front where they were standing. As the snake got close to a wary looking patron, John would let out a yell and the patron would as well. This was very good for business as it almost always assured those hearing the screams would come looking for the cause. Years before his death, he and my dad travelled around the country following carnivals, performing in a side show, and living in a small travel trailer. At one location, late at night and after a long day of performing, a dog near their trailer kept up a barking jag. It was after a while when John, who was a little drunk, hopped out of the trailer and started backing back at the dog. The louder the dog barked, the louder John barked. They created such a disturbance that the police in that community showed up. So here's what they saw: a half-size fellow, looking like a giant frog, half sitting/half leaning against the trailer, barking into the air. As they approached, John, who did not much care for how others saw him, raised up and started hopping towards the cops for a confrontation. With guns drawn as if they were about to do battle with some unfathomable frog creature, John took made a wise decision and sat down. Now the cops wanted to haul him off to the police station for public drunkenness and disturbing the peace. So they got out the handcuffs and were having difficulty trying handcuff someone with no hands. Just then my dad came out of the trailer and, also drunk, got into a verbal battle with (his brother) John and the cops. I only wish someone had a video camera of this scene: cops trying to handcuff a literally unarmed man barking his head off, a dog continuing to bark back at John, my dad swearing up a storm, and all the while next to a dilapidated 16-foot travel trailer. Talk about your white trash! 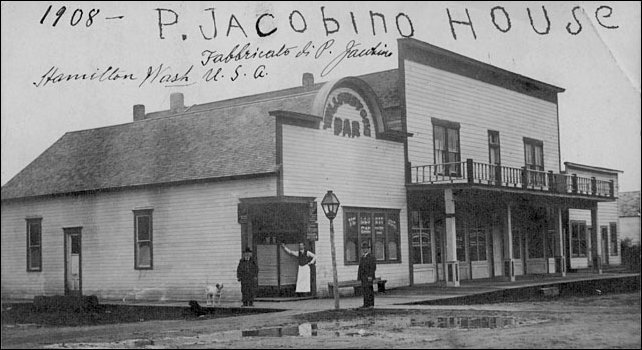 Peter (Pietro) Jacobin owned this bar, which was quite famous in upriver Skagit history, located on Water Street, which is now partially underwater. We have not yet been able to establish when he moved the bar north to the Maple Street area. That is where the town itself moved after the three monster floods of the 1890s, especially the one that destroyed many buildings on Water Street. We hope that readers will have photos of that old Hamilton, by the river, in the era of 1872-1910. 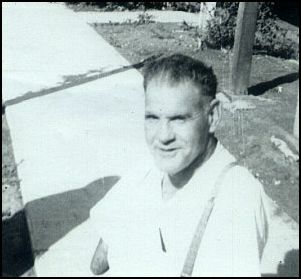 Died in 1973 But with the onset of my schooling, and being around others who would stare when John made his way down a sidewalk on his wagon, sitting on the broad flat plank with one foot down for power; or his method of walking with was either hopping or one knee in front of the other; or ambling up a set of stairs that today would be made more "handicap accessible," I began to be embarrassed at being near his presence. I guess all children at that age try to make themselves as invisible as possible. Like the children in the movie Uncle Buck, in public I put as much distance from Uncle John as possible. Often, it would be as if I was only in the store at the same time but had no relationship or even knowledge of who he was. Whether or not he knew what I was doing, John never let on. He never chastised me for my manners. Perhaps he knew enough to ignore others who thought of him as different. John's death in 1973 came as a great blow to me. It happened both unexpectedly as well as quite odd. Uncle John and my dad were coming back from a tavern. Yes, they had both been drinking and the accident that ensued was John's fault, but it was a minor rear-ender. Both cars received slight damage and there were no apparent injuries. Later that night, John died on the floor of his and dad's trailer. The jolt caused one of John's steering wheel knobs to hit him in the abdomen, with just enough force to rupture a small artery. John bled to death internally that evening and neither he nor my father were aware he was even hurt. Dad said he recalled John asking for water several times, but neither had a clue to the extent of his internal damages. John was buried near other members of our family in the Hamilton-Lyman, Washington, cemetery. A funny and fun-to-be-around little fellow with remarkable talents. My only wish is that I could take back any hurt I may have caused John for distancing myself from him in public. Yes, John caused people to stare at him. His entire life was to show others that despite overwhelming physical disabilities, the mind makes up for what the body cannot. I always remarked that John could do anything a non-physically challenged individual could. Looking back, now, I change my mind: he could do more. Journal ed. 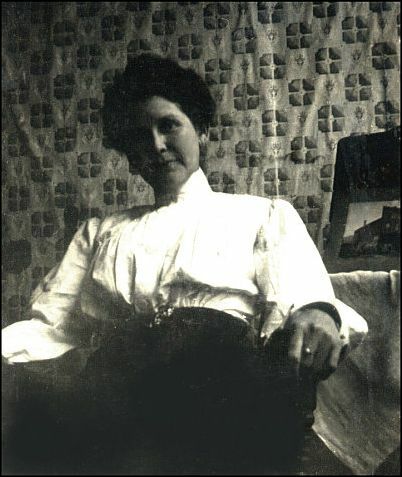 note: this is the first of several stories we will soon share about the family of Peter Jacobin (Pietro) (1841-1921), who grew up among the educated class of Italy but wound up in the United States as a miner and married Catherine McHale (1858-1928) and moved to Washington, first as a coal miner in Roslyn and then as a bar owner in Hamilton. John and Joe Jacobin Sr. were sons of Frank Jacobin, son of Peter. We welcome any documents, articles or photos about the family or old-time Hamilton that readers may want to copy for us for upcoming stories. Read how to sort through our 800-plus stories. Did you find what you were seeking? We have helped many people find individual names or places, email if you have any difficulty. Did you enjoy these stories and histories? The process continues as we compile and collaborate on research about Northwest history. Can you help? Remember; we welcome correction, criticism and additions to the record. Please report any broken links or files that do not open and we will send you the correct link. With more than 800 features, we depend on your report. Thank you. If you would like to make a donation to contribute to the works of this website or any of the works of Skagit County Historical Society and Museum. We thank you up front. While in your PayPal account, consider specifying if you would like your donation restricted to a specific area of interest: General Funds, Skagit River Journal, Skagit City School, Facilities, Publication Committee, any upcoming Exhibit. Just add those instructions in the box provided by PayPal. Currently looking for a new guestbook!